Introduction of a 50% top rate of tax for those with income over £150,000 from 2010 and phased reduction of personal allowances for those with income over £100,000. Increases in ISA limits from October this year for those aged over 50 and for everyone from April 2010. Enhanced relief for trading losses extended by a further year. Short term increase in capital allowances on most plant and machinery. Extension of the furnished holiday lettings scheme to properties in the EEA but then the removal of the scheme completely from April 2010. Names of deliberate tax defaulters to be published where default was tax in excess of £25,000. extension of HMRC compliance powers across all the taxes dealt with by HMRC. their total pension contributions or benefits accrued exceed £20,000 a year. correct an anomaly regarding the capital gains position for investors in the event of a share for share exchange. Individual Savings Accounts (ISAs) In 2009/10 the ISA limits for people aged 50 and over will be raised to £10,200, of which £5,100 can be held in cash. This change will be made from 6 October 2009. The current ISA limits (£7,200 of which a maximum of £3,600 can be held in cash) will be increased for all investors to the same amount from 6 April 2010. Remittance basis Individuals who are resident but not domiciled or not ordinarily resident in the UK have the option of using the remittance basis of taxation. Significant changes were made to the remittance basis in 2008. Following consultation minor changes will be made to these rules. Personal allowances for non-resident individuals Legislation will be introduced from 2010 to withdraw the entitlement for individuals to personal allowances and reliefs solely by virtue of being a Commonwealth citizen. It is expected that the majority of individuals affected will still benefit through other means, for example Double Tax Treaties. Financial Services Compensation Scheme (FSCS) Individuals will be charged to income tax on the payment of accrued interest paid as part of compensation from the FSCS. This measure applies to payments made by the FSCS on or after 6 October 2008. Furnished Holiday Lettings (FHL) Unlike general property rental businesses, FHL are treated as a trade for certain taxation purposes, which is generally more preferential in terms of loss reliefs and CGT reliefs. A key condition for property to qualify as FHL is that it is situated in the UK. Due to the possible incompatibility of the rules with European law, two significant announcements have been made. The current law on FHL is to be repealed with effect from 2010/11 but until then FHL situated in the European Economic Area (EEA) are qualifying FHL provided they meet the other conditions. Comment Claims for FHL for properties in the EEA may be worth consideration for tax returns which have already been submitted. 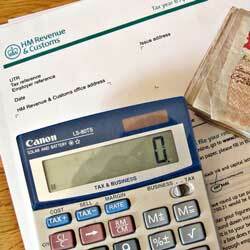 HMRC have indicated that late claims and amendments will be accepted in relation to this matter until 31 July 2009. This will apply to personal tax returns to 5 April 2007 and corporate returns ending on or after 31 December 2006. Corporation tax rates The main rate of corporation tax which applies to companies with profits of more than £1.5 million remains at 28%. The small companies corporation tax rate which applies to companies with up to £300,000 of profits remains at 21%. The effective marginal corporation tax rate for profits between £300,000 and £1.5 million is 29.75%. Trading loss carry back Under current rules businesses already have a number of mechanisms to relieve trading losses against other income including past trading profits. For example unincorporated businesses can offset unlimited trading losses against income in the preceding year. In the early years of operation an unincorporated business can carry trading losses back for three years. The main relief for companies is a carry back of unlimited trading losses against profits made in the previous year. A proposed revision will apply for two years and will extend the period that current trading losses from businesses can be carried back against previous profits to a period of three years with losses being carried back against later years first. The amount of losses that can be carried back to the preceding year remains unlimited. After carry back to the preceding year, a maximum of £50,000 of the balance of unused losses is then available for carry back to the earlier two years. The measure will have effect for company accounting periods ending in the period 24 November 2008 to 23 November 2010. For unincorporated businesses, the measure will have effect in relation to trading losses for tax years 2008/09 and 2009/10. Comment The £50,000 limit applies separately to the unused losses of each 12 month period or tax year. Capital allowances on plant and machinery Additional capital allowances are to be available for expenditure incurred by a qualifying activity in the 12 month period commencing 1 April 2009 for companies and 6 April 2009 for individuals and partnerships. Most businesses have since 1 April 2008 (corporation tax) or 6 April 2008 (income tax) been able to claim the new Annual Investment Allowance (AIA) on the first £50,000 spent on most plant and machinery. Expenditure on qualifying plant and machinery not covered by the AIA will be eligible for a temporary first year allowance (FYA) of 40% instead of 20% Writing Down Allowance (WDA). The FYA will not apply for expenditure on integral features, cars, long life assets and assets for leasing. Comment The availability of additional capital allowances will be attractive to larger or plant intensive businesses where the AIA is insufficient, particularly groups of companies where one AIA has to be shared between all companies. Taxation of business travel Changes are being made to the capital allowance treatment of cars. 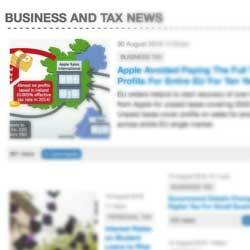 The changes will have effect from 1 April 2009 for corporation tax purposes and 6 April 2009 for income tax. The special rules that restrict the amount of capital allowances for cars costing more than £12,000 will be abolished. Expenditure on cars with CO2 emissions of 160g/km or below will be allocated to the plant and machinery main pool (ie will obtain 20% WDA). Expenditure on cars with CO2 emissions above 160g/km will be allocated to the ‘special rate pool’ (ie will obtain 10% WDA). Cars that have an element of non-business use will continue to be dealt with in a single asset pool to enable the private use adjustment to be made but for expenditure incurred from April 2009 onwards the rate of WDA will be determined by the car’s CO2 emissions. the late payment of interest between connected companies. electrically propelled cars will continue to be taxed at 9%. provide a third party information power requiring companies and businesses to supply HMRC with contact details for people who are in debt to HMRC with whom they have lost contact. better aligned time limits for making tax assessments and claims. the threshold for voluntary deregistration is £66,000. a VAT invoice is issued by the supplier where payment is not due for at least six months. £100,000 or more in a period of six years. Such a person is treated as a substantial donor of the charity for all chargeable periods falling wholly or partly within that 12 month/six year period, and for a further five chargeable periods. A chargeable period for a charitable trust is a tax year and for a charitable company is its accounting period. Regulations will increase the threshold of relievable gifts which a person may make before becoming a substantial donor. The relievable gifts threshold of £100,000 in a period of six years will be increased to £150,000 from 23 April 2009. The annual threshold of £25,000 will remain the same. Comment These rules were introduced to tackle those who influence or set up charities with a view to avoiding tax rather than with any charitable intent but the rules need to be considered carefully if substantial donations are being made. Landfill tax Legislation will be introduced to increase the standard rate of landfill tax by £8 per tonne to £48 per tonne. The new rate will have effect for any standard rated disposal of waste made, or treated as made, on or after 1 April 2010. The Business Payment Support Service The Business Payment Support Service was launched following the Pre-Budget Report in November 2008. It is designed to assist businesses which whilst viable are currently having difficulties paying tax liabilities due to economic conditions. The aim is to allow businesses to spread payments over a period of time to suit individual business circumstances. This service will continue and in making an agreement with HMRC, consideration will now be factored in where a loss is anticipated for the current period.